A yellow "be aware" weather warning is in place for south and mid Wales, with "localised flooding" possible. The Met Office says heavy, thundery showers could lead to flooding, especially in urban areas. 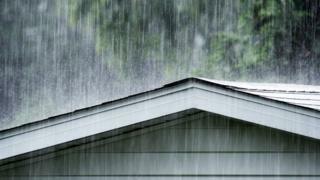 Around 15mm of rain could fall in the space of an hour and up to 30mm in two or three hours in some areas. The showers will slowly fade away this evening, but lightning could be an additional hazard. A yellow warning is the lowest level, rising in severity through amber to red for the most severe weather.